Have you ever been in a retail store and thought about what it would be like to own the store? Chris Zane experienced that feeling. He was a Connecticut high school sophomore and decided he wanted to buy out the owner of the store. When his parents didn’t share the vision, he convinced his grandfather to loan him the $23k to become the owner. Today it’s a success story told around the globe. Zane told the story of building Zane’s Cycles to a standing room only group in Miami at the annual NetPromoter conference, which focuses on increasing customer loyalty. He opened by presenting a bowl full of quarters to a few front row audience members and letting them take a handful for themselves. Each took a few. Chris then told us this bowl of quarter represents service in his organization and their commitment to deliver more than is expected. As he made this statement, he walked back to each attendee holding some quarters and gave them a few more. Bu,t he also pointed out that customers rarely take everything in the bowl if you offer them the full bowl. This was a powerful metaphor of the cost to invest in servicing customers for any organization. 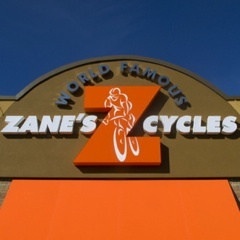 Zane was clear in this statement “Customer service starts when customer experience fails.” The culture in his organization has been built not around being in the retail bike business, but being in the service business. Since that first year, he took over the business in 1981 when he did $56k in sales, the company has grown to annual sales of over $15M. This now includes the world famous retail stores, of which there are four, and a B to B business that fulfills the premium rewards for points programs. So, if you choose a bike from American Express Rewards, it will come from Zane’s Cycles. And, you can be sure you will have minimal set-up and the bike will fit you because they figured how to work with customers virtually. This made for a third thriving business, on-line bike sales. Chris had only a short time to explain the components of his success, but it was no surprise he often had pictures of his top-notch staff on the screen. He constantly honored and praised his team members in the presentation. The growth story of the retail stores was something everyone could learn from. Since they were a small store, competing on price was just not an option. To differentiate themselves, they began by offering one year of free service on all bikes. It was a hit, customers wanted assurance that when adjustments were needed, it wouldn’t cost anything. But then the competitors kicked in the same offer. He extended his offer to two years. Again a store down the street matched the offer. By this time, they understood how this offer brought happy customer back into the store and they went to lifetime free service. This led to customers asking for a lifetime warranty on parts and accessories. It made sense; Zane didn’t want a customer to be unhappy with his store because of a two-dollar water bottle that sprang a leak. He went to his suppliers and asked them to also make this commitment. The vendors that made it happen are very happy today. A bike store would normally have over 50 partners supplying accessories. Zane consolidated purchases to nine vendors that now handle all of his parts and accessories. The high level of service can make some customers think the prices must be higher to compensate, to they installed a 90-day price protection guarantee. Sometimes, a dealer nearby has to discount a bike to make the sale, and a customer shows up wanting a refund for the difference. Zane’s gladly gives the difference plus 10% back to the customer. The interesting thing is they give back in cash – not as credit to the credit card. Envision this new bike owner standing in the bike store with $50 or so in cash looking around at many cool bike accessories. Ultimately, very little of those refunds ever fully leave the store. As the business grew, the lifetime value of a customer became core to how everyone in the business thought about their clients. The average person goes through quite a few bikes in a lifetime. From that first bike to the retirement model, Zane’s calculates each customer spends about $12,500 on bikes. He doesn’t want to nickel and dime these highly valuable customers, so they decided everything that is under a dollar is free. So if you are on vacation near Branford, CT, and your son breaks the master link on his bike chain, Zane’s will get you the right one, at no charge, and get you back to vacationing. You may just order the next bike from the online store. This entry was posted in Big Ideas and tagged Chris Zane, Communicate to Win, Communication, communication training, customer service, Fast Track Tools, how to achieve maximum sales potential, Ken Revenaugh, NetPromoter, powerful sales metaphor, present better, presentation, presentation techniques, Reinventing the Wheel, sales, tools for presentations, Zanes Cycles by Ken Revenaugh. Bookmark the permalink.